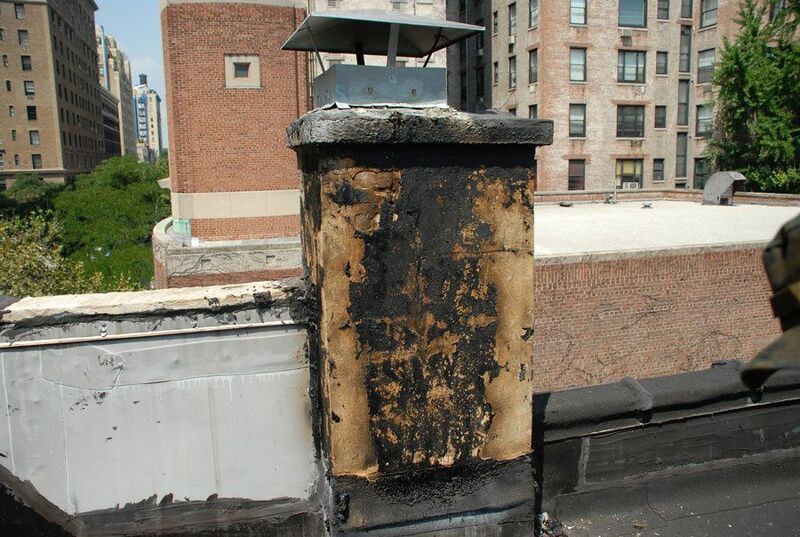 Most chimneys and parapet walls are covered with tar, as a repair, to prevent leaks. However, the tar dries, hardens, and cracks creating fine fissures that expand over time. Water will penetrate these cracks and seep under the roof’s membrane making it appear as though the roof is leaking. Over time the roof will be compromised due to these leaks. 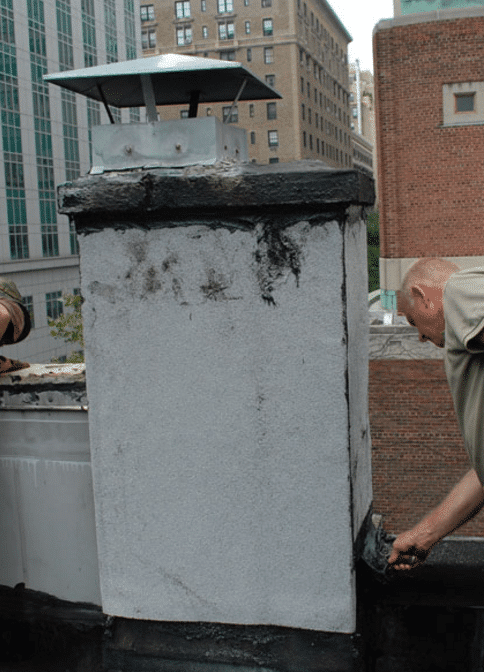 The image below shows an example of a chimney that has been covered with a Modified Bitumen Torch Down Rubber Membrane, sealing it permanently. This technique should apply to all parapet walls and chimneys. A roof is one of the most expensive components of a building. When architects design buildings, they specify the materials to be used on flat roofs and usually go with the roofing materials they are most familiar with. Most architects will specify EPDM or TPO membranes. An architect’s specifications carry a lot of weight. Therefore, most buildings have one or other types of roof systems. Although specified, these roofing materials do not provide the best protection. 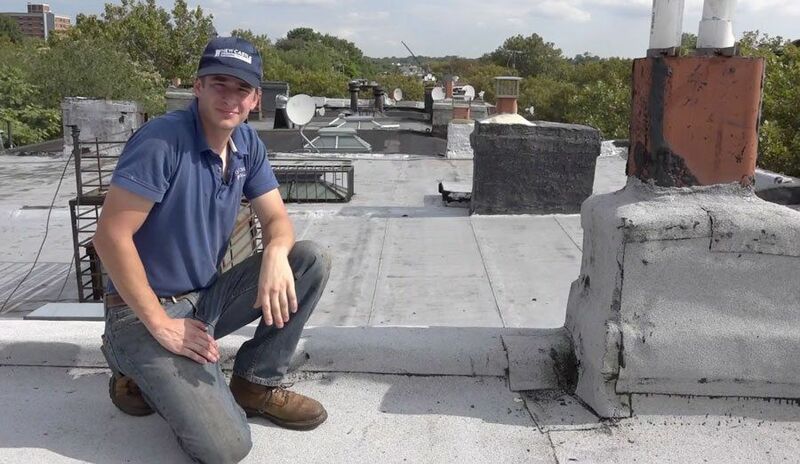 When considering a roofing system, the cost of the material, its longevity, and its maintenance, all play a role in achieving the best, overall value. 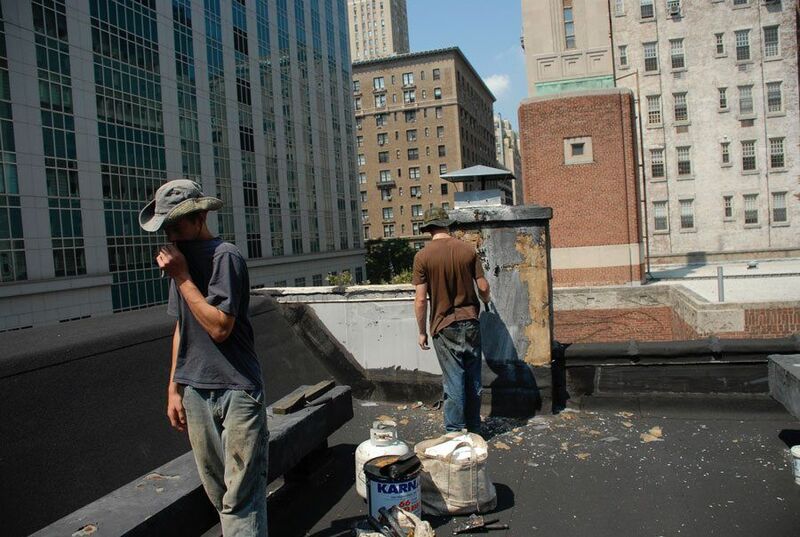 We are preparing a chimney’s surface by scraping off old tar to cover it with a rubber membrane. 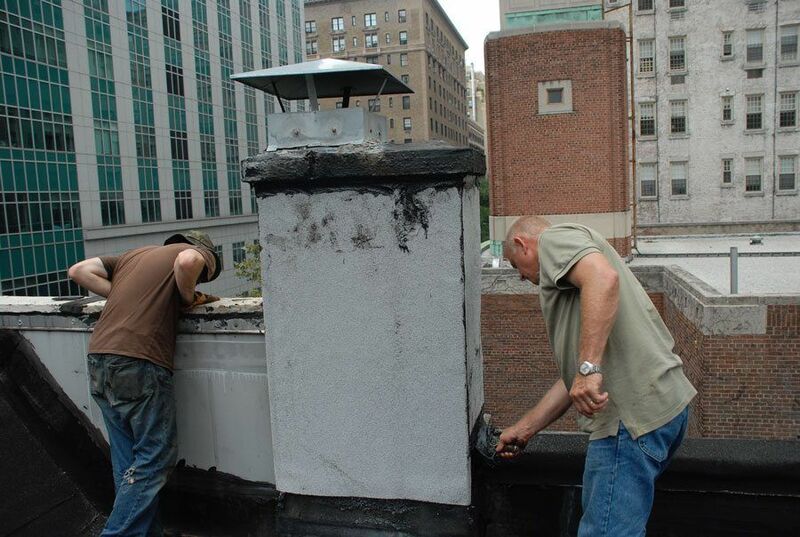 Sealing the entire chimney with a Modified Bitumen rubber membrane embedded with white ceramic granules for protection against harmful UV rays.